Nearly 40 passengers were injured on Sunday after five buses slammed into each other, creating a lengthy pile-up on a major Hong Kong bridge. The collision on Tsing Ma Bridge came as the buses were driving toward Hong Kong International Airport at about 4pm. Officials said 27 people were lightly injured and 12 suffered serious injuries. There were 23 injured women and 16 men. Photos and live feeds from the scene showed dozens of injured passengers sitting on the road, some with blood on their faces. The injured were sent to Princess Margaret Hospital, North Lantau Hospital and Yan Chai Hospital for treatment. As of 9pm, eight people have been discharged from the hospitals while 31 others remained in stable condition, the government said. The collision involved two buses at the front of the accident – the A10 and A11 from Citybus travelling from Ap Lei Chau and North Point to the airport. The A10 was travelling along the bridge when it began to slow down and came to a stop because of traffic shortly before it was hit, said a spokesman with the bus operator. “Then the bus behind it, A11 also came to a halt but was smashed into by another bus, and the driver called the police,” said the spokesman. No passenger on either of the two buses was hurt, but the driver of A11 suffered minor injuries. Citybus said the two drivers started their shifts at around 6am and were on their fifth and sixth trips of the day. “The drivers hours and rest times were within the Transport Department’s guidelines,” the spokesman said. The other buses involved were two from Long Win Bus Company and a Park Island Transport Company bus. The two Long Win Bus buses, the third and forth buses, were caught in the middle of the crash. Long Win said at least 20 people on the two vehicles were injured, including the drivers. “It’s believed that all the victims were slightly hurt,” a company’s spokesman said. The pile-up forced two of the three lanes on Tsing Ma Bridge near Ma Wan to be closed, leading to a traffic jam along the main road leading to the airport. A long queue of halted vehicles stretched from close to Ma Wan to Wok Tai Wan. The lower deck of Tsing Ma Bridge was opened to ease congestion in the area. The cause of the accident remains unknown. A bus passenger told reporters at the scene that he recalled the driver stopping and the bus behind them ramming the bus he was on. A passenger in the last bus said he saw that the buses in front had stopped, but the bus he was on could not stop in time and rammed the ones in front. The passengers were employees from five companies providing services at Hong Kong International Airport, including Cathay Pacific Group, according to police. Pacific urged travellers to use other transport besides buses to reach the airport because of the accident, according to a post on Twitter. Cathay said Airport Express trains were operating normally. Hong Kong’s first “red rainstorm warning” of the year not only plunged the city into darkness and left two dead on Saturday afternoon, it also terrified scores of passengers flying to Shanghai when their plane was battered by turbulence and struck by lightning. , but departure was delayed by about an hour, putting its takeoff time squarely in the middle of the Hong Kong Observatory’s thunderstorm warning window. as if flew through the storm. “I felt the plane was going to fall apart!” Ng said in his post. in a recent story on the phenomenon. The reason modern aircraft are able to pass through lightning safely is that their fuselage functions as a Faraday cage, which distributes electrical current through an exterior conductor — in this case the plane’s body — without affecting the interior of the cage. Planes struck by lightning are generally inspected after landing, but are usually found not to have been damaged, or to have sustained only minor damage. on Saturday after a system of thundershowers coalesced around Guangzhou and began intensifying as it moved into to the SAR. An average of 40 millimeters of rain fell across the territory, with more than 60 millimeters recorded in parts of the New Territories and Lantau Island. Wind speeds at times exceeded 100kph in North Point and Green Island. 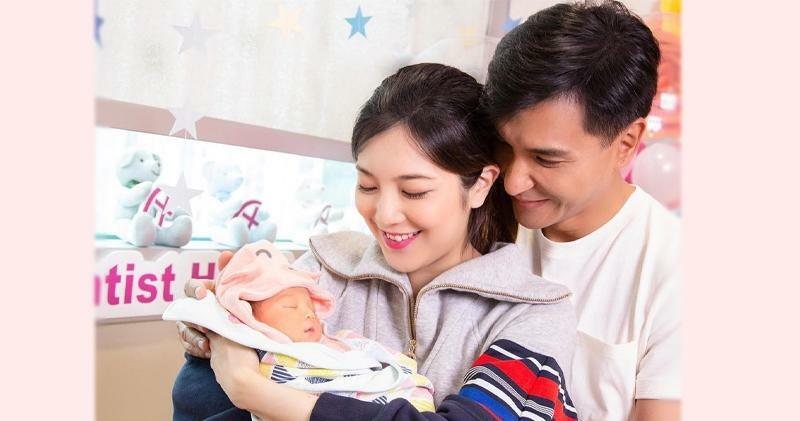 Ruco Chan and Phoebe Sin posted in today's Instagram that their daughter , nickname "Little Piggy" was born. Ruco wrote " Welcome to our home, here comes Little Piggy " Phoebe also said that they have named their daughter "Quinta". 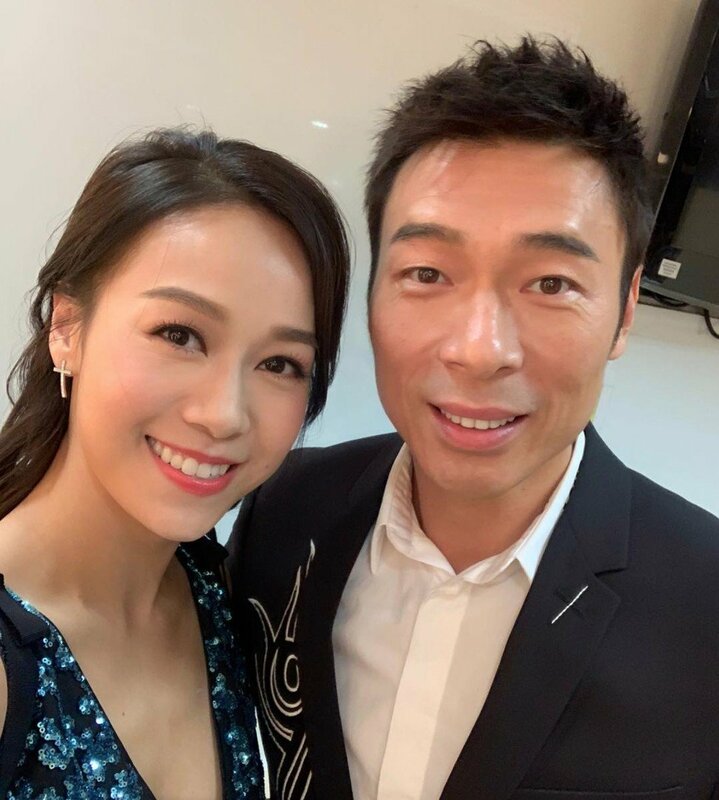 She posted "Baby Quinta has finally arrived, Ruco and I welcome our first daughter to this world"
Hui confessed at a press conference held at a Hong Kong hotel on Tuesday night (April 16), admitting to a dalliance with 30-year-old TVB actress and former Miss Hong Kong first runner-up Jacqueline Wong. He also said he will put his work activities on hold until he finds his "real and right self". He was caught on camera holding hands and kissing in the backseat of a taxi with Wong. Known for such hits as Who Can I Love (2002), he has been married to Cheng, 46, since 2014. The two do not have children. 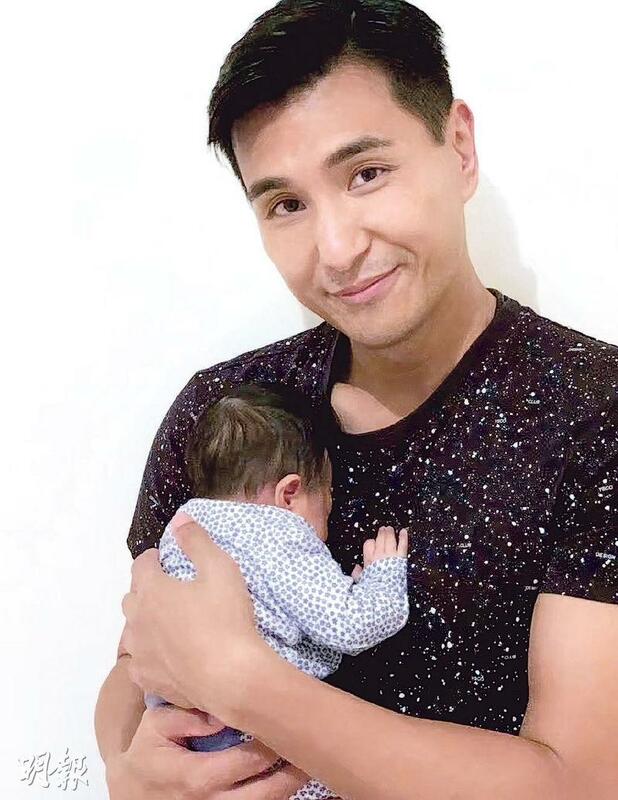 Wong and fellow TVB actor Kenneth Ma, 45, have been dating since 2017. The clip was uploaded by Hong Kong's Apple Daily News on Tuesday afternoon. Hours later, Hui, 51, showed up for a tearful seven-minute appearance. He kept his head bowed throughout and swallowed a sob before apologising to his wife of five years, saying: "Sorry, Sammi." He began the press conference with a deep bow and said: "I want to apologise to my family, Sammi's family, friends and people who love me. Because I did what I cannot make up for, something that will not be forgiven." Through bouts of crying, Hui explained: "I drank a lot that night but I feel that being drunk is definitely not an excuse to do something so wrong. I am very regretful, I find it hard to face myself and accept myself. "After I saw the report, I found myself very shameful, very wrong, very bad, very disgusting and very unfamiliar. I reflected on why I could not control my lust." In the reportedly 16-minute video that was leaked, Hui and Wong initially share a cab with another man, who alighted first. Before the man exits the cab, Hui can be heard assuring the man that he and Wong will go home separately. After the man leaves, however, Hui and Wong provide only one location to the driver and begin holding hands. At one point, Wong leans over to kiss Hui and his hand rests on her thigh. According to Hong Kong media, they later left the cab together. While Hui did not comment on his wife's reaction or their marital status going forward, he said: "I hope that in the future, everyone I hurt, everyone I pained, can be well." As his speech neared the end, he said: "I have no soul. I am a broken man. I hope everyone can give me time to find myself. " He gave another deep bow and left, ignoring all follow-up questions from reporters. Following the bombshell news, netizens have flooded Hui's Instagram page to express their anger and disappointment, with many asking him to quit the entertainment industry. He posted a similar apology around 7pm on his Instagram with a picture of a black background. Wong has disabled comments on her Instagram page, which has more than 600,000 followers. Cheng's latest Instagram post on Sunday about an eye care supplement has garnered more than 3,300 comments - mostly posted on Tuesday - asking her to stay strong, with some encouraging her to leave Hui. after Hui proposed in 2013. Their relationship was once described by comedian Dayo Wong as "Hong Kong's last fairy tale". The banknote forgery drama Project Gutenberg swept the 38th Hong Kong Film Awards, taking home seven statuettes including for best film, cinematography, art direction, costume and makeup design, film editing and director and screenplay for writer-helmer Felix Chong. Chong, who won the best new director award for Once a Gangster in 2011, is famed for his scriptwriting work with longtime collaborator Alan Mak on Infernal Affairs and has been nominated nine times in the best screenplay category. Project Gutenberg, which took 13 years to make it to the big screen, marked Chong's third win as a screenwriter and the first time he was awarded as the sole writer. Starring Chow Yun-fat and Aaron Kwok, Project Gutenberg received 17 Hong Kong Film Award nominations and grossed $187 million in China last year. Besides Project Gutenberg, this year’s Hong Kong Film Awards recognized the talents of emerging directors. Nearly all of the acting category award winners (except best actress) won for performances in films by first-time directors. 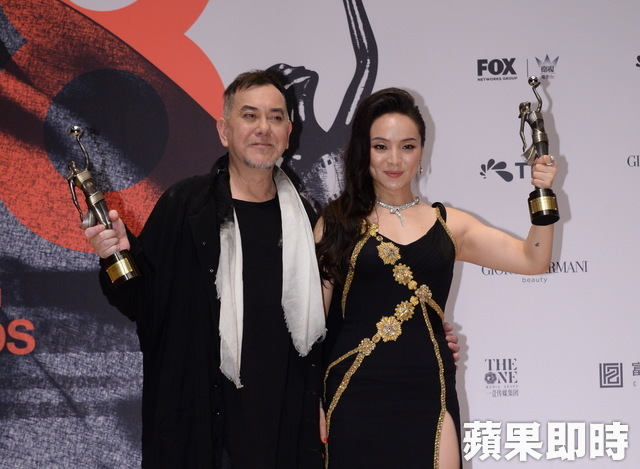 Anthony Wong, who has previously been honored for his work in films, on television and on the stage, was crowned best actor for his portrayal of a wheelchair-bound man who needs around-the-clock care in Still Human, the helming debut of Oliver Chan, who also won the best new director prize. It was the fifth time Wong has been honored with a Hong Kong Film Award, as he earned best actor honors for The Untold Story in 1994 and Beast Cops in 1999, and the best supporting actor award for Infernal Affairs in 2003 and Initial D in 2006. Filipino actress-singer Crisel Consunji, who played the domestic worker who looked after Wong’s character in the film, was named best new performer. A list of winners of the 38th Hong Kong Film Awards is below.